NHG sources seasonal blooming plants, cachepots and accessories that add year-round interest to your home, patio or table. Custom arrangements are also available. 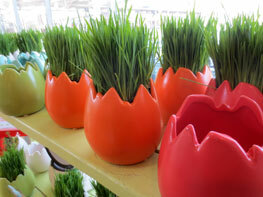 We have blooming plants perfect for any special occasion. 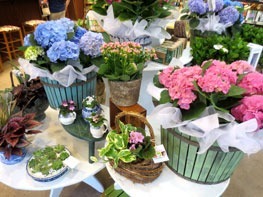 Let us create a custom, live plant arrangement or choose from the blooming cachepots and baskets we create in the store. 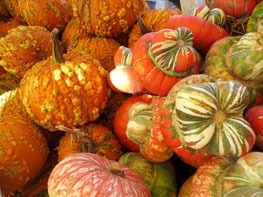 Our annual collection of classic jack-o-lantern and specialty pumpkins and gourds is a decorators dream! 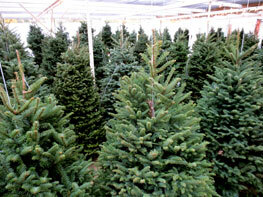 Grown right here in north Texas, we have some of the best prices in DFW. 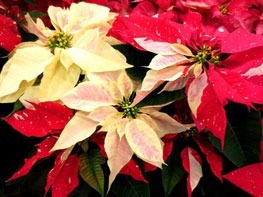 NHG curates a wide assortment of poinsettias for the holiday season, from classic red to a variety of specialty designer colors and in sizes ranging from 2” to 14” pots. 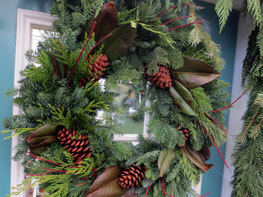 Fresh greenery, wreaths, garlands and swags arrive weekly during the holidays. We also host annual wreath building and decorating workshops so you can make your own! Grown for us on a family farm in Washington state, our fresh Christmas trees are always kept in water, suspended for a 360-degree view, and feature the specialty ‘Burton Blue’ noble fir among other favorites.